Situated along the Andaman Coast, with beautiful mountains and wild forested hills as its backdrop, the impressive Thai Muang is one of Thailand’s few links’ style golf courses. It offers a fascinating challenge to high and low handicappers. With its combination of a sandy shoreline studded with mature trees, lagoons, ponds, creeks and the sea itself, the site is impressive and the play challenging. Twelve holes feature water carries and water comes into play on another four holes. The undulating fairways are very often coupled with elevated greens that test the best of putters. You need to avoid the deep greenside bunkers to score well here. The three finishing holes are most memorable, each of which is superb. It starts with the 16th, a reachable dogleg left Par 5, then is followed by the annoying little Par 3 17th (dubbed ‘the lady’), and finishes with the extremely difficult 18th (dubbed ‘the gem’). This 463 yard Par 4 plays along the side of a white sandy beach. Standing on the tee, you’re leaning into what is usually a two or three club wind. With out of bounds right and the Andaman Ocean left, the green seems like its miles away. For most players, this is a three shot to the green hole. 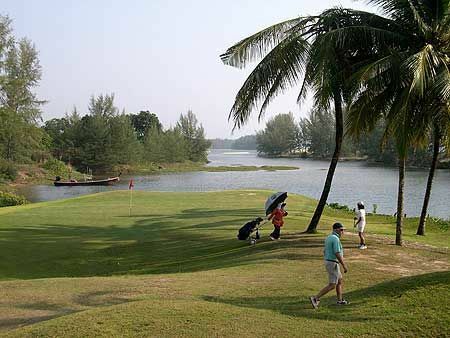 Thai Muang Beach Golf Club lies just over the bridge from Phuket Island, some 40 minutes drive from Phuket International Airport and a leisurely 75 scenic minutes from Patong Beach. While further ashore than the other Phuket Island golf courses, golfers chhosing to play at Thai Muang will be well rewarded for making the trek. 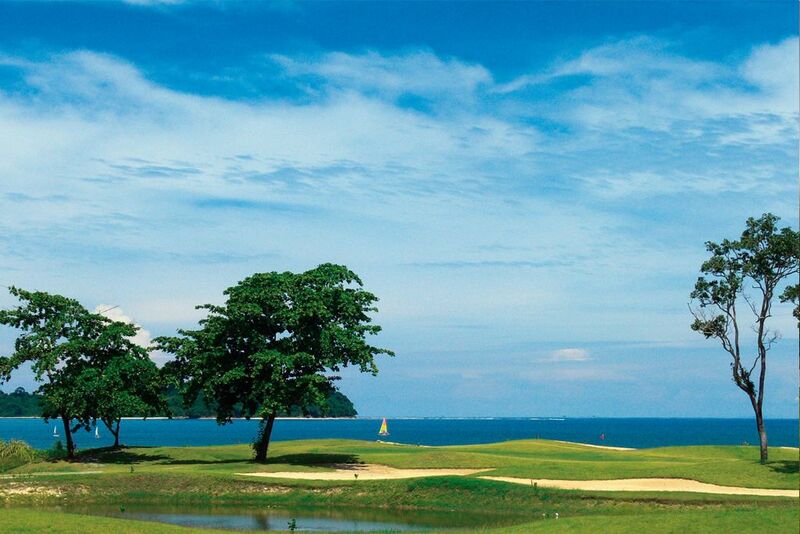 Thai Muang Beach Golf Course is situated just 30 minutes (40 kilometres by road) from Phuket international airport. 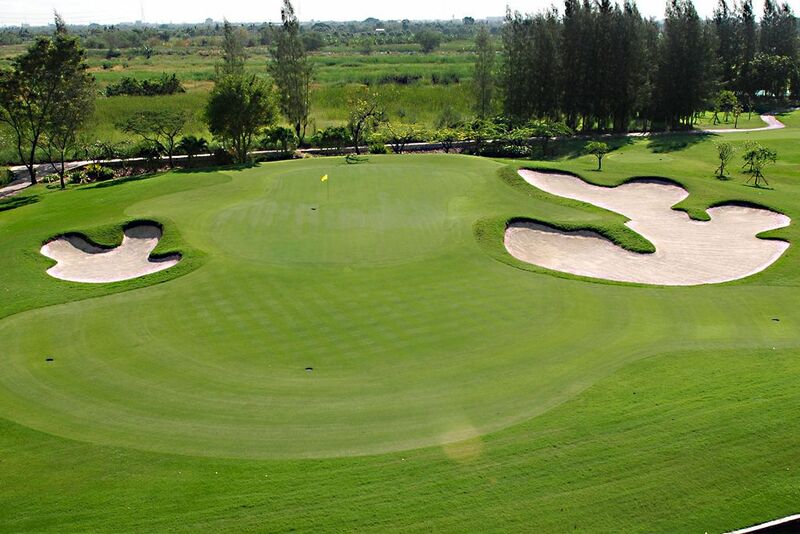 Thai Muang Golf is not yet in our pool of Golf Courses for orders.